Take a break from your everyday life with this classic version of Spider. Enjoy a modern & stylish version of Spider, with the gameplay you know & love from Spider for Windows™. We have stayed true to the spirit of Spider & spend our time designing a version of Spider that has the classical feel of Spider for Windows™, mixed with a simple & minimalistic interface. 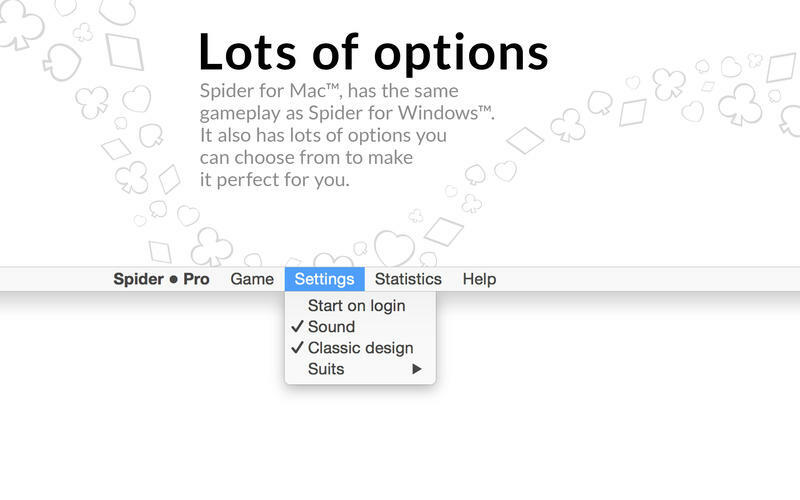 Experience the clear graphics, smooth animations & subtle sounds of this classic version of Spider for Mac™. Spider solitaire is similar to other types of solitaires. The goal of the game is to create 8 stacks of cards, king through ace. If all 10 foundations have at least one card, you may place additional cards by clicking on the stock cards in the upper right corner of the screen. There are millions of different deals in this game & cleverness is needed to win, so think & move wisely. Good luck. • The equivalent of 2 decks are used. 104 cards all in all. 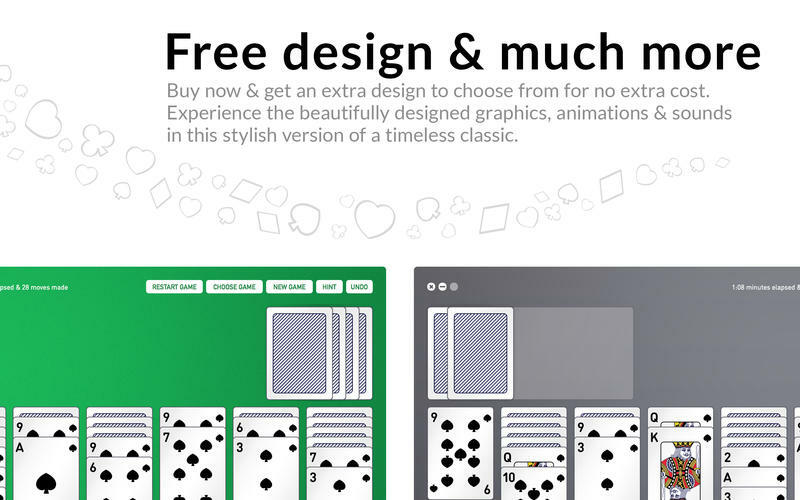 • Get king through ace in a row & those cards will automatically be moved to the foundation. • Cards are dealt into eight cascades.